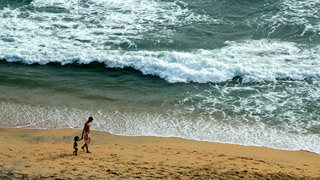 Flanked by the Arabian Sea in the West, the towering Western Ghats in the East and networked by 44 interconnected rivers, Kerala is blessed with a unique set of geographical features that have made it one of the most sought after tourist destinations in Asia. A long shoreline with serene beaches, tranquil stretches of emerald backwaters, lush hill stations and exotic wildlife, are just a few of the wonders that await you once you crossover to the other side. And what's more, each of these charming destinations is only a two hour drive from the other - a singular advantage no other place on the planet can offer. Kerala prides itself for being the flag bearer for not just how a culture can respect its past but also march forward with growth & progress as well. Hundred percent literacy, world-class health care systems, India's lowest infant mortality and highest life expectancy rates are among a few of the milestones that the people of the state are extremely proud of. Kerala is divided into three geographical regions: Highlands, which slope down from the Western Ghats onto the Midlands of undulating hills and valleys into an unbroken 580 km long coastline with many picturesque backwaters, interconnected with canals and rivers. The wild lands are covered with dense forests, while other regions lie under tea and coffee plantations or other forms of cultivation. Most of the state is engulfed in rich greenery which ensures a very calming experience at all times. Bestowed with a pleasant and equable climate throughout the year, Kerala is a tropical land where one can relax and be at ease. The Monsoons (June-September and October-November) and summer (February-May) are the seasons markedly experienced here, while Winter is only a slight drop in temperature from the normal range of 28-32°C. The generally pleasant climate prevalent here is what our guests end up loving. 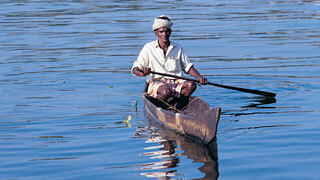 Kerala is one of India's most progressive states in terms of social welfare and quality of life. The State boasts of one of India's highest literacy rates, highest life expectancy and lowest child mortality rates. 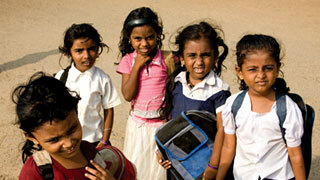 The literacy rate for women in Kerala is one of the highest in all of Asia. Enjoying a unique cosmopolitan viewpoint, the people here, at all levels of society, have greater access to services and opportunities - as well as a greater say in their governance. 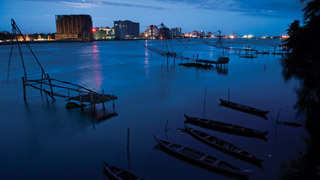 Kerala's history is closely linked with its commerce, which until recent times revolved around its spice trade. Celebrated as the Spice Coast of India, ancient Kerala played host to travellers and traders from across the world including the Greeks, Romans, Arabs, Chinese, Portuguese, Dutch, French and the British. Almost all of them have left their imprints on this land in some form or the other and that has helped us mould and design our own special way of interacting with the world. 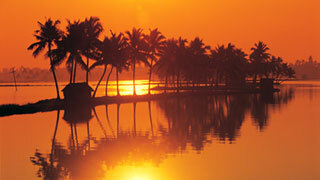 Kerala is situated on the southwestern coast of India, a country in South Asia. This is the official website of the Department of Tourism, Government of Kerala, and is one of the most popular travel websites in India. 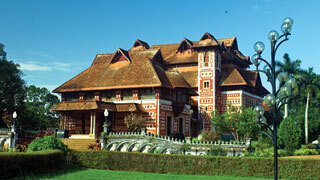 The site contains exhaustive information about Kerala, a State popularly known as God's Own Country. The website, which has been online since 1998, is currently available in 21 languages including 10 Indian languages. On an average, the site gets more than 3 million visits per annum. The site is updated as necessary and frequently. 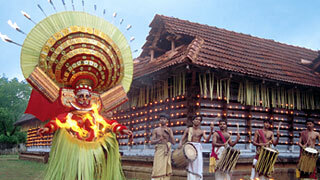 It contains a huge database on Kerala including 3000 videos, thousands of photos and several hundred audio clips. This website disseminates useful information to travellers around the world through a two-way process and also keeps track of the varying interests of modern-day travellers by regular online user-friendly interactions like the message board, tour planner, online contests, online audio-visual galleries, video quizzes, live webcasts, e-books, e-newsletters etc. International recognition to the department's online initiatives came in the form of the Pacific Asia Travel Association's (PATA) Gold Award for the best E- Newsletter during the years 2005, 2013, 2014 and 2016 and the best website in 2010. In India, Kerala Tourism has been occupying the number one position in web traffic among tourism board websites for more than a decade. In terms of web traffic, the site is among the top 10 tourism websites in the Asia Pacific and the Middle East.